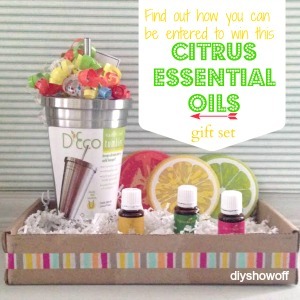 Looking to share Young Living essential oils in the way of a gift or searching for a fun incentive or prize idea? If you’re making healthier choices such as adding drinking more water to your daily routine like I am, you’re going to love this! Of course incorporating more water into your diet is super healthy but how about kicking that up a notch or two by adding a drop of lemon, lime or grapefruit essential oil? And since Young Living citrus essential oils are so potent they break down the petrochemicals in plastic water bottles, using glass or stainless steel is a must! I recently put together a gift basket for a friend and it turned out pretty cute so I thought I’d share it here too. Great for so many different occasions: birthday, get well, a fun prize, encouragement, thank you, just because, bon voyage, congratulations, Christmas, a great giveaway, promotional. 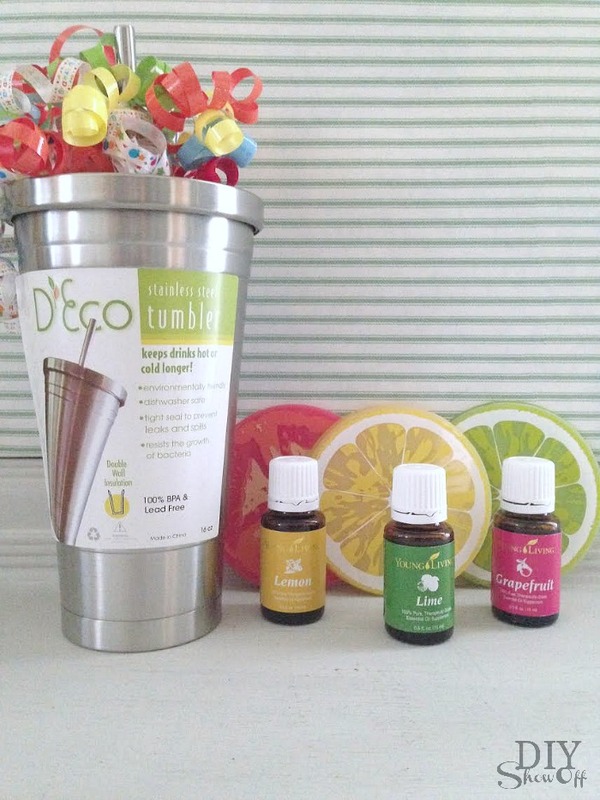 What are Young Living Essential Oils anyway? Start HERE for more info. As always, feel free to contact me with any questions! This entry was posted in Gifts, Misc., Natural Living, Young Living and tagged gifts, Natural Living Journal, Young Living by Roeshel. Bookmark the permalink. 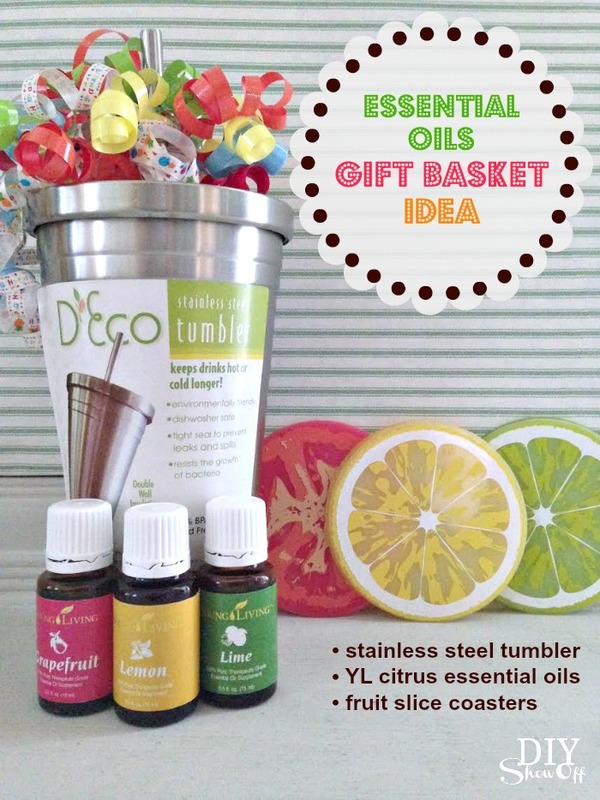 Wonderful gift idea….. I love it. Unfortunately.. I can’t right now. And joining is on my wish list now.